20 Fabulous Fixer Upper Inspired Kitchen Ideas You Can Do In One Weekend! If you’re reading this, you’re most likely a huge Fixer Upper fan, as I am. 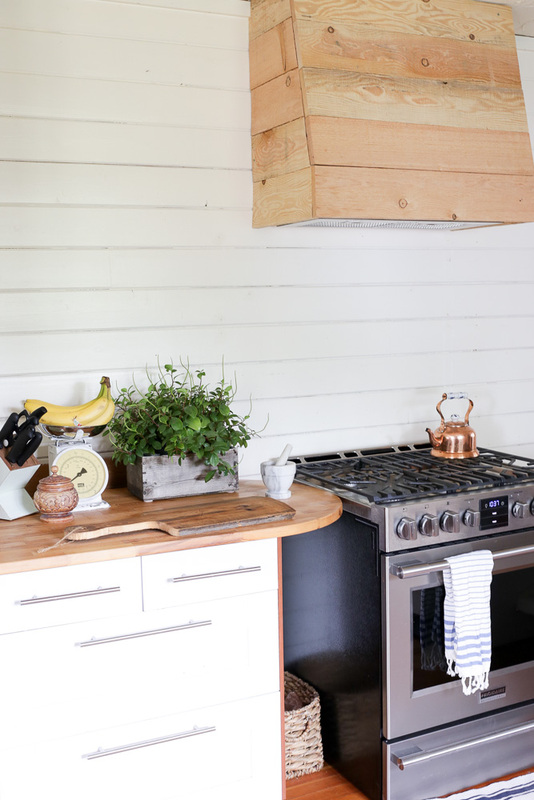 I love Joanna’s farmhouse style and the way she brings new life to old kitchens. We can’t all get a kitchen makeover from Chip and Jo, but we certainly can take a few ideas from their design playbook! 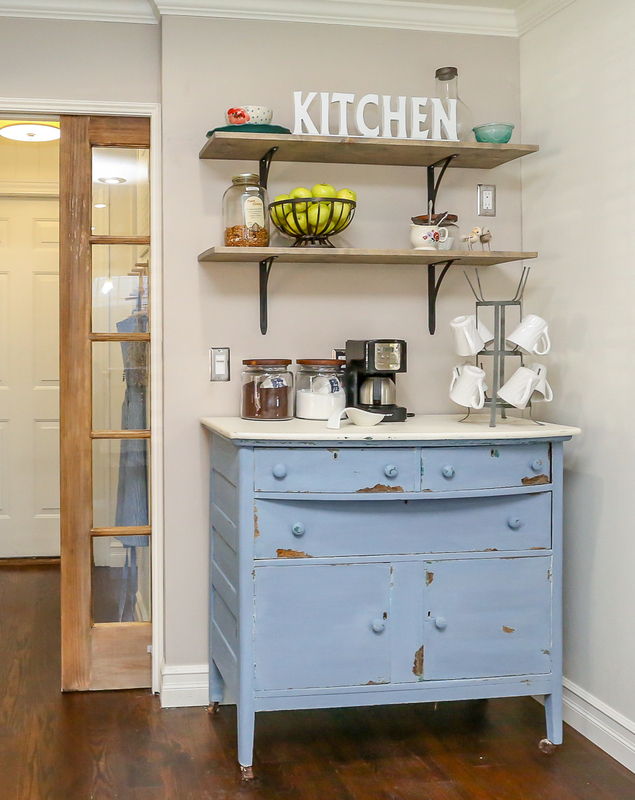 Here I have 20 fabulous Fixer Upper farmhouse kitchen ideas that you can do yourself! There are so many budget friendly Fixer Upper inspired kitchen ideas here, I hope you find one that inspires you! Just make sure to visit the links and pin from the original website so these creative diyers can feel the love! 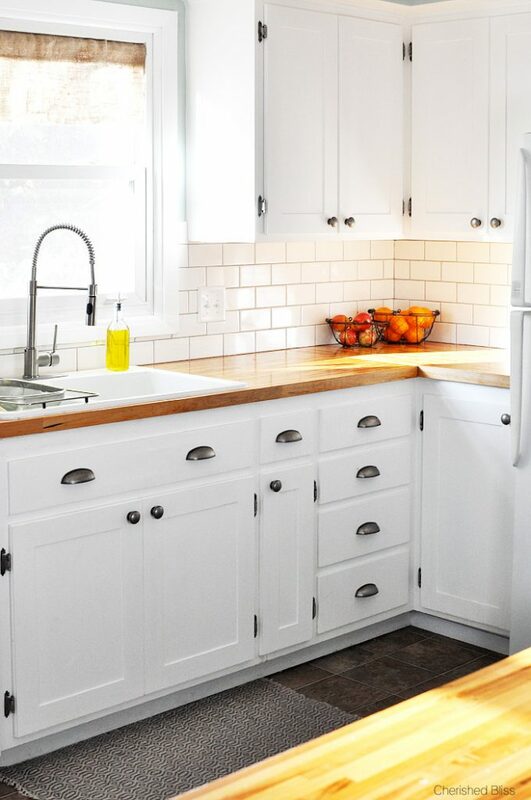 Cherished Bliss shares how she turned her outdated kitchen cabinets into some great farmhouse style cabinets with just a few pieces of trim. Do you have a little nook in your kitchen that you’re just itching to turn into something useful? Check out this fantastic DIY coffee bar idea from right here at The Weathered Fox. All it takes is a little cabinet with character and a couple of open shelves! You could have this done in a hour. If you are considering adding in open shelves, but are terrified of how you’d style them, you’re going to love these tips from The Turquoise Home! 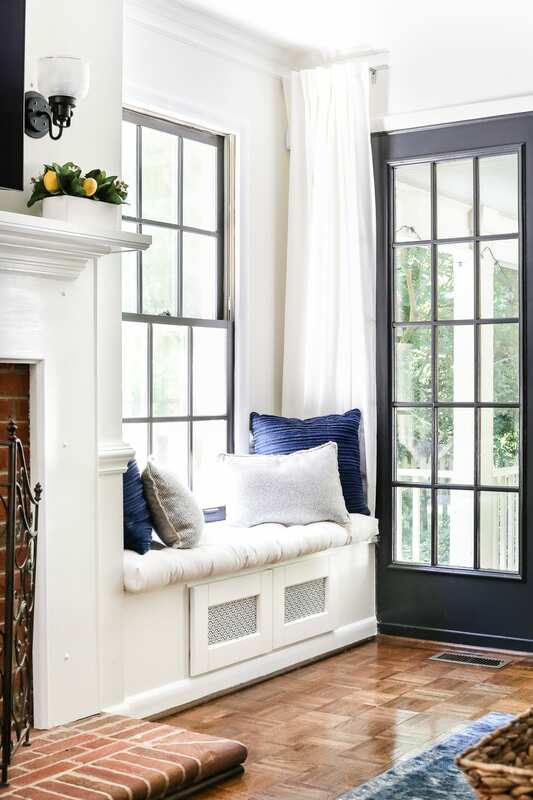 Blesser House Built this fantastic farmhouse window bench from some kitchen cabinets. If you have a little spot in your kitchen for this, you can create a really amazing farmhouse style breakfast nook. This Kitchen Island not only adds extra seating and prep space, but it also houses the trash so it’s out of sight. Get the easy to build plans from Shades of Blue Interiors. 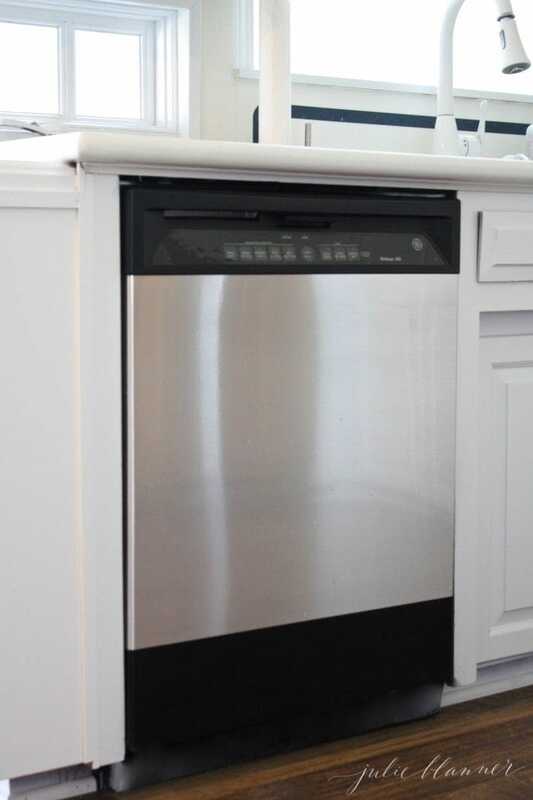 Julie Blanner gave her appliances a super simple stainless steel makeover. 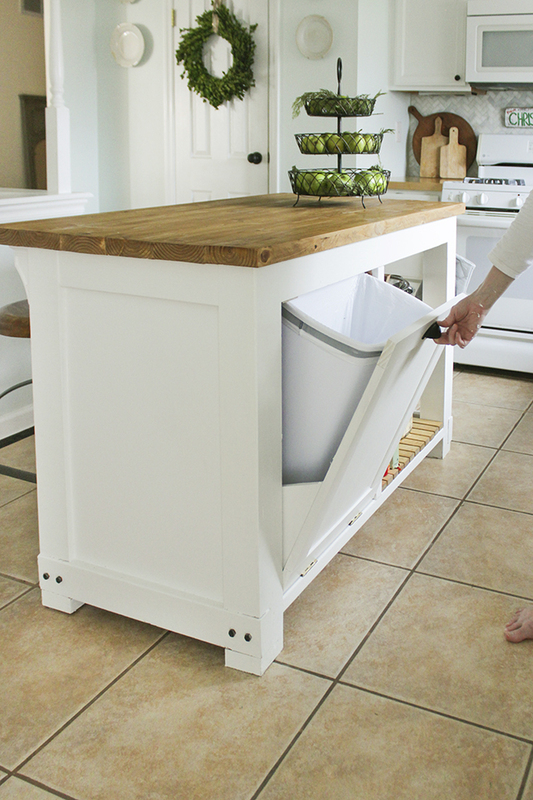 This project is so easy and gives an instant lift to a farmhouse kitchen on a tight budget! 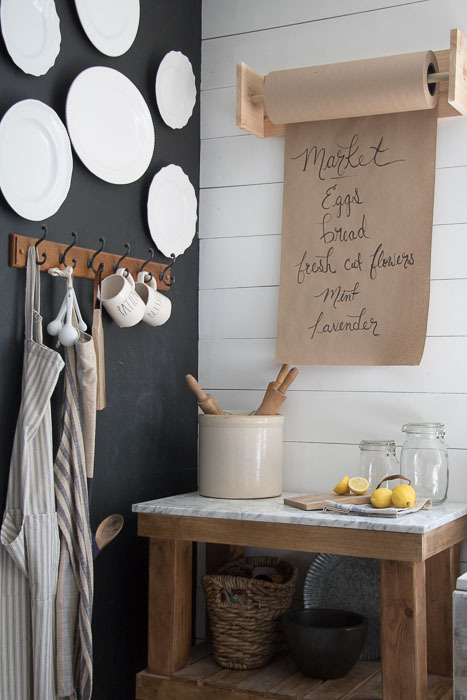 This butcher block paper holder from Seeking Lavender Lane is the perfect addition to a farmhouse kitchen! You can add a grocery list, to do list, or a fantastic recipe and it will always look intentional. 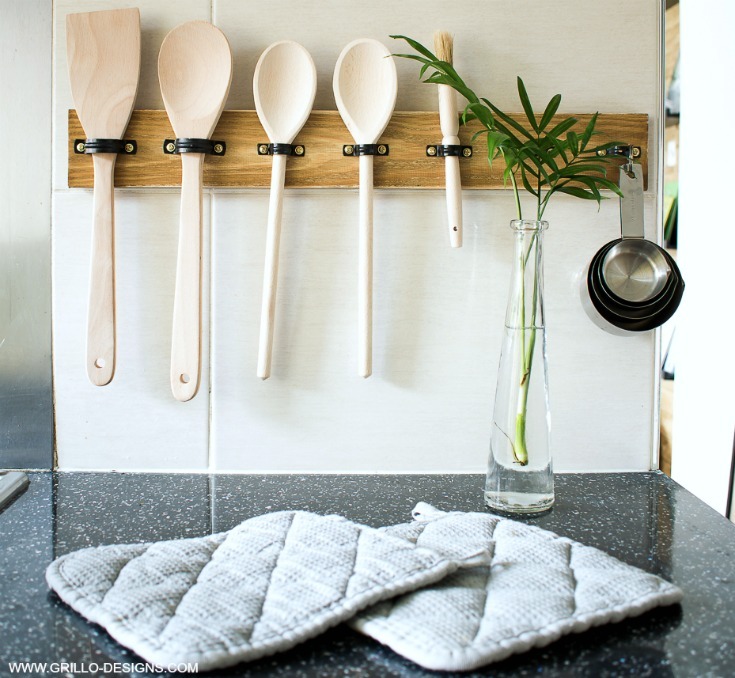 Grillo Designs created this simple utensil holder for her kitchen, and I think I’m in love. I could totally see this in a Fixer Upper kitchen! And it helps keep your counters clear, which is a huge bonus for small spaces. Having practical items that are also useful is so important in a farmhouse kitchen. 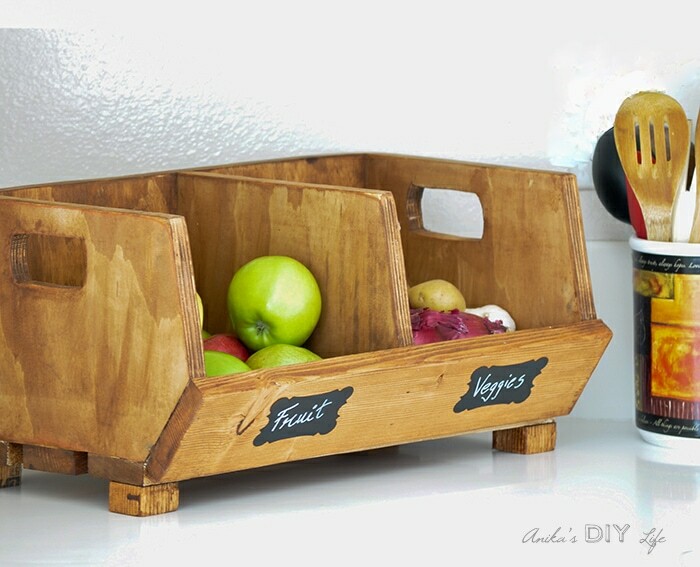 I love these DIY veggie containers made by Anika’s DIY Life. A few of these lined up in a row on some open shelves would look amazing. Speaking of open shelving, to pull it off, pretty containers is a must. 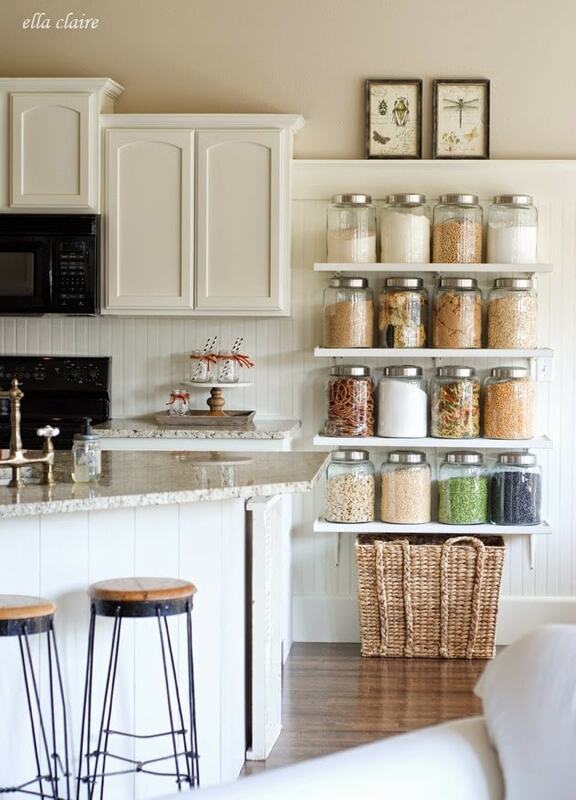 I love this open pantry organized by Ella Claire Inspired. This is a farmhouse kitchen dream! Remodelaholic’s wood farmhouse hood cover has Fixer Upper written all over it. Joanna has used wood hood vent covers both painted and stained and they always look fabulous in her kitchen designs. See how easy it is to make your own with this tutorial. 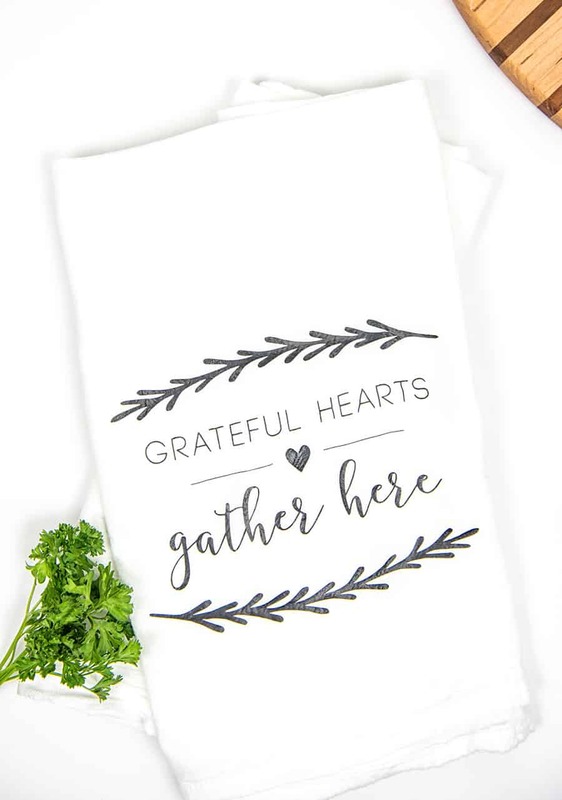 A DIY kitchen towel like this from Joyfully Mad not only adds farmhouse charm, but you can also customize it to say whatever you want! Customizations in your design are what make a house into a home. 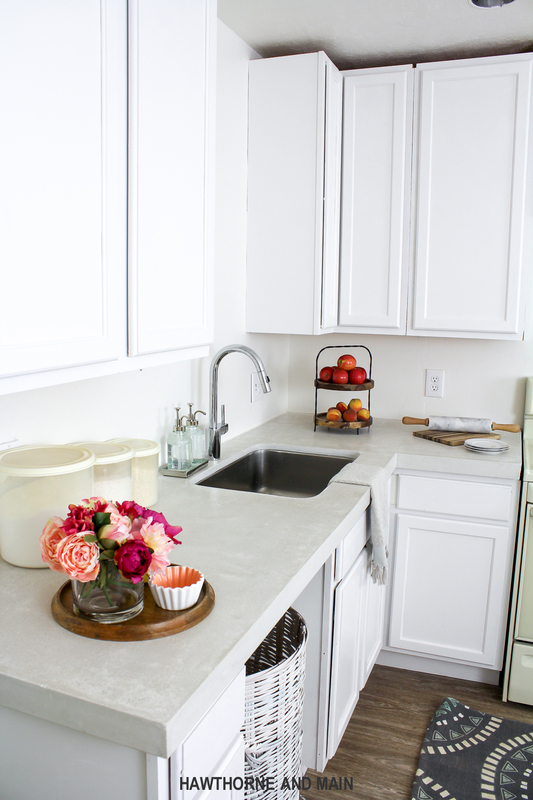 Joanna has concrete countertops in her own farmhouse kitchen. If you love the look and want to try your hand at making them, check out this tutorial from Hawthorne and Main. 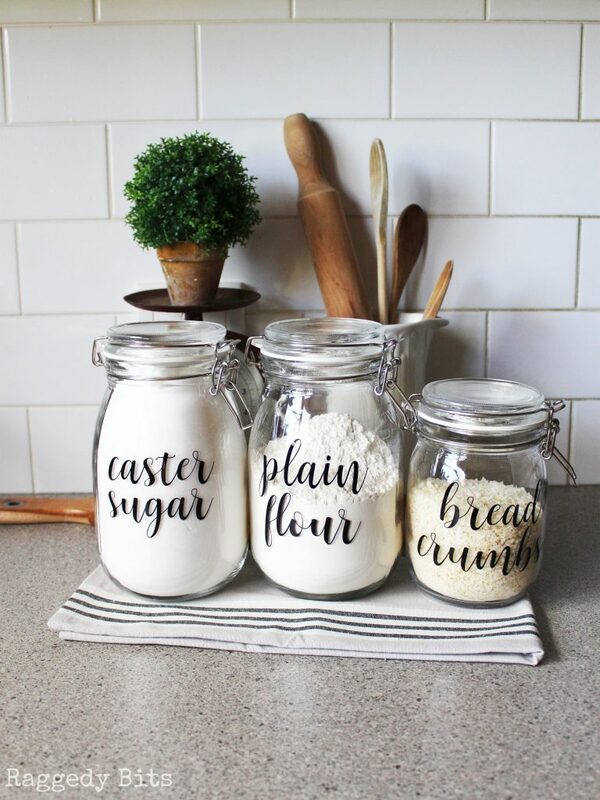 These farmhouse pantry labels will help keep your pantry organized and beautiful. Get the easy tutorial from Raggedy Bits Get the easy tutorial from Raggedy Bits. 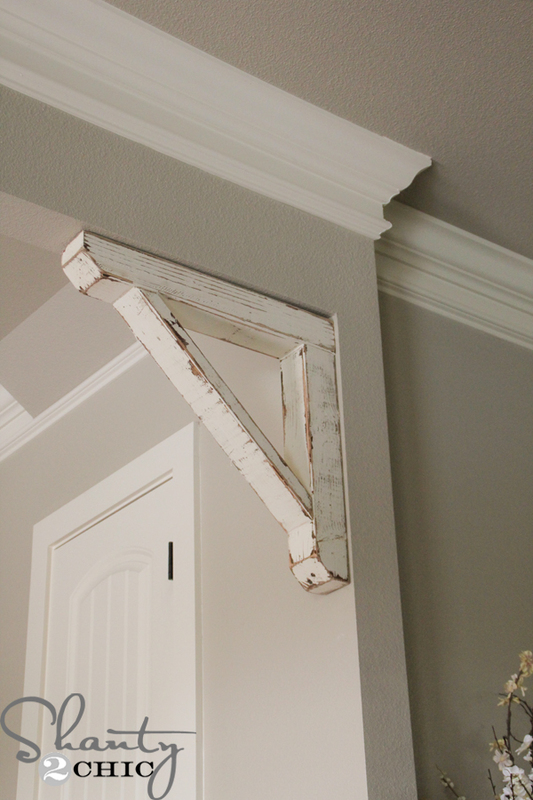 These DIY Rustic Corbels from Shanty 2 Chic would look great in so many different locations in a kitchen. Use them in the entryway like the photo, or you can use them to create your own open shelving, under your kitchen cabinets, or put them under your island counter overhang as added detail. Be still my heart. 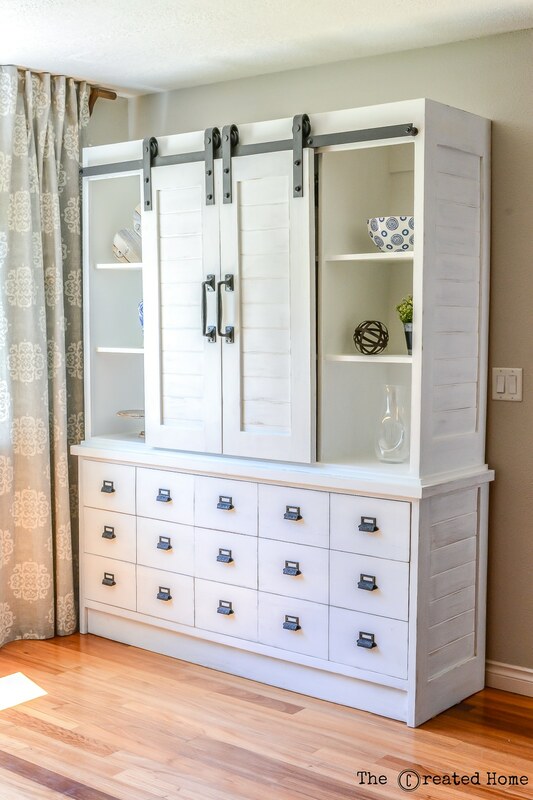 This DIY sliding door hutch is identical to ones that Joanna has used in her designs. And I bet the cost is much lower when you make one yourself! Get the Fixer Upper inspired plans for free from Jen Woodhouse. 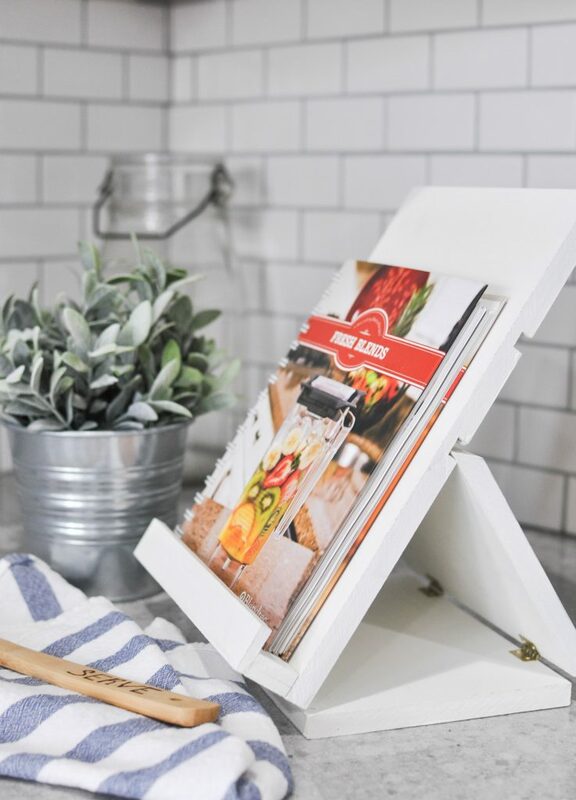 Here’s a perfect solution from Cherished Bliss for your cookbooks or tablets. 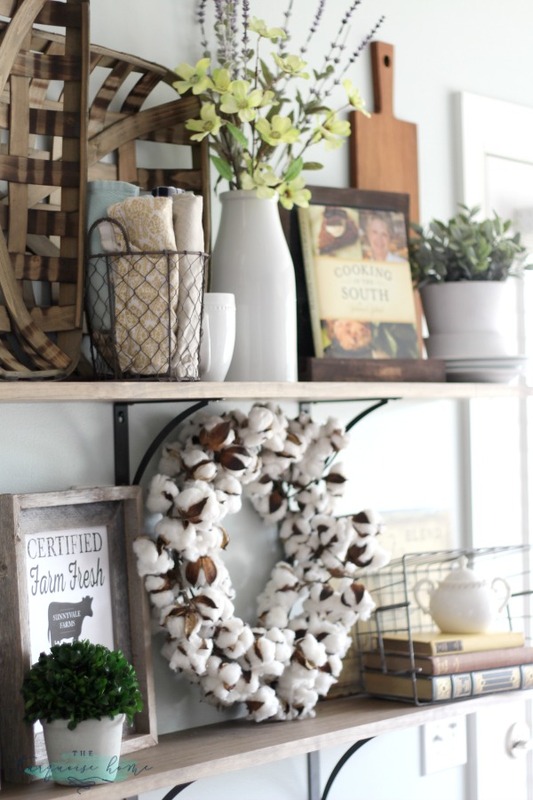 I love that this recipe stand fits right in to farmhouse kitchen decor, you can leave it out and not have to worry about it looking cluttered. Craftberry Bush has a genius project for fabulous Fixer Upper style kitchen decor. 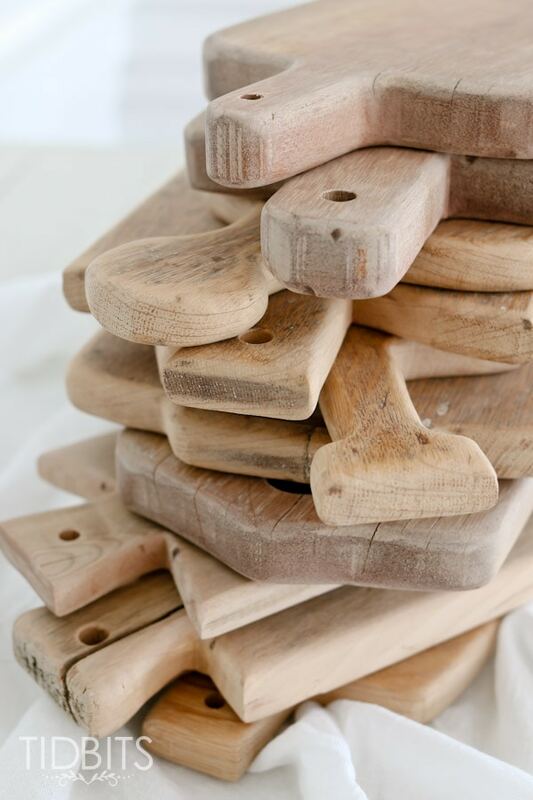 She uses reclaimed wood to create her own antique style cutting boards. You can never have too many of these around the kitchen! I can’t believe I have never thought to create a 3 tiered tray this way. The tiered tray is a staple in Fixer Upper kitchens. 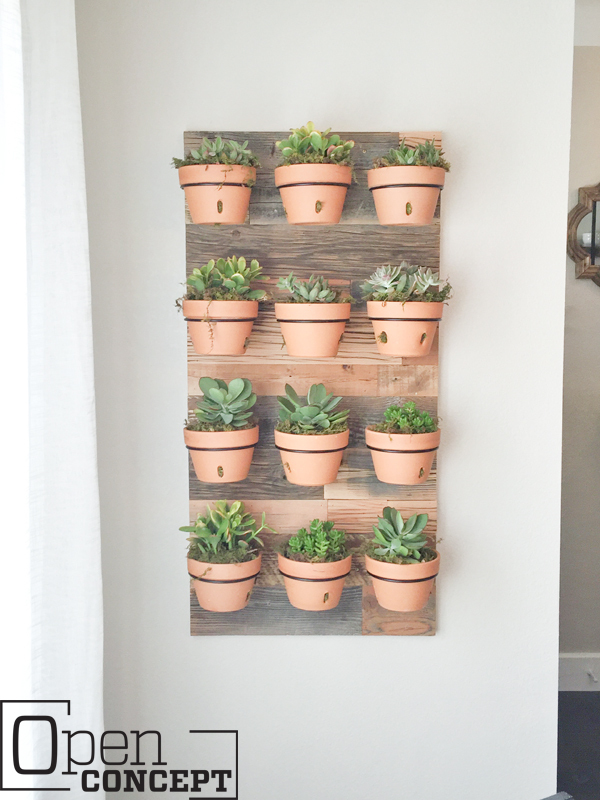 This DIY is a great way to get the look at a fraction of the cost. Joanna has had a new thing for hanging plants in her kitchen renovations, and this DIY wall planter is a great way to add a little Fixer Upper style into your kitchen. Have you done any Fixer Upper kitchen projects lately? 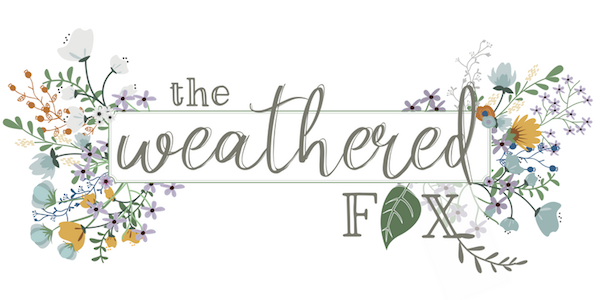 I would love to hear from you in the comments, or join our Fixer Upper Fan Facebook group!